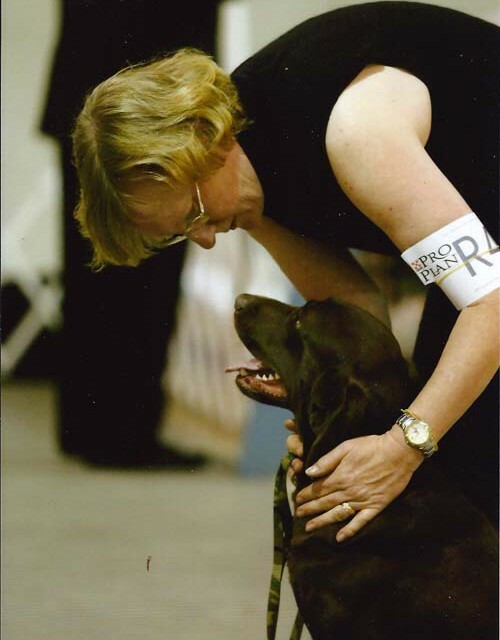 Debby Kay has been an innovator and leader in scent detection training for more than 40 years. Her start with her father’s hounds led her down the trail to discovering new and fascinating ways of working with dogs and their incredible scenting powers. She was fortunate to be involved in the early start-up of search and rescue dogs in the United States, working with the first underwater cadaver searches, with the proof of concept of the first accelerant detection dogs, and in course design for many institutional and government detector programs. Her experience in training successful medical detection dogs has led to helping non-profits across the globe get started with successful programs. As a retired government research scientist, she stays closely involved with several universities and scientists to continue setting a high bar of excellence in the design and testing of her scent detection programs. Debby is in the forefront of the fast-growing competitive sport of scent detection with her workshops and books. She is still active in man trailing and tracking today with many of the dogs from her highly acclaimed Chilbrook bloodline. 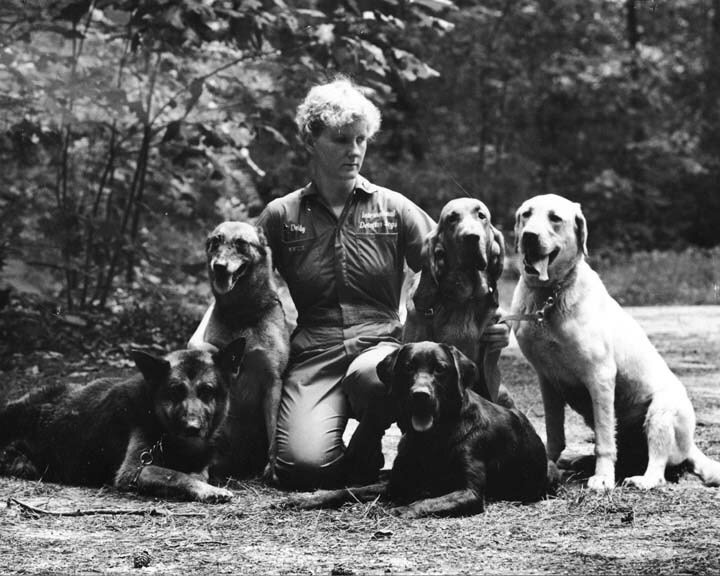 Debby in the 1980s with five famous detector dogs she trained, including the black Labrador Chilbrook Mandingo, the first toxic waste detection dog. Debby and Chilbrook Madeline prior to competing at the Nationals. “Maddie” was the 86th dog of any breed to title in all UKC performance and conformation events offered, thus earning a Super Dog designation.